Although my very long term (quarters to years) outlook for Market is extremely bullish, in the intermediate term (days to weeks) however, I think price consolidation / correction for major indices very likely will continue. 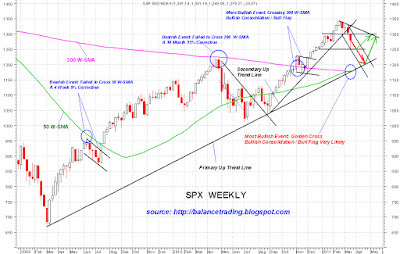 SPX tested its support at 1250 last week and bounced strongly. That SPX low (1250) most likely will be tested again in the next two weeks. 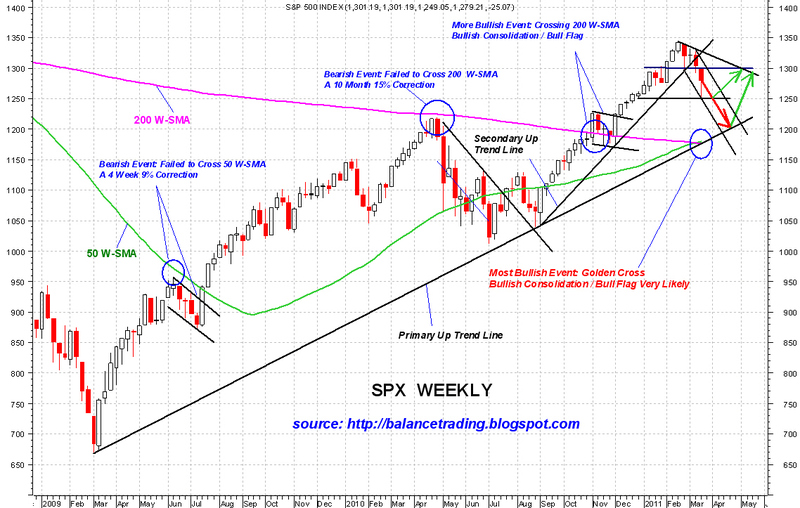 If support at 1250 fails, SPX could test the primary up trend line on its weekly chart at 1200 by mid April.